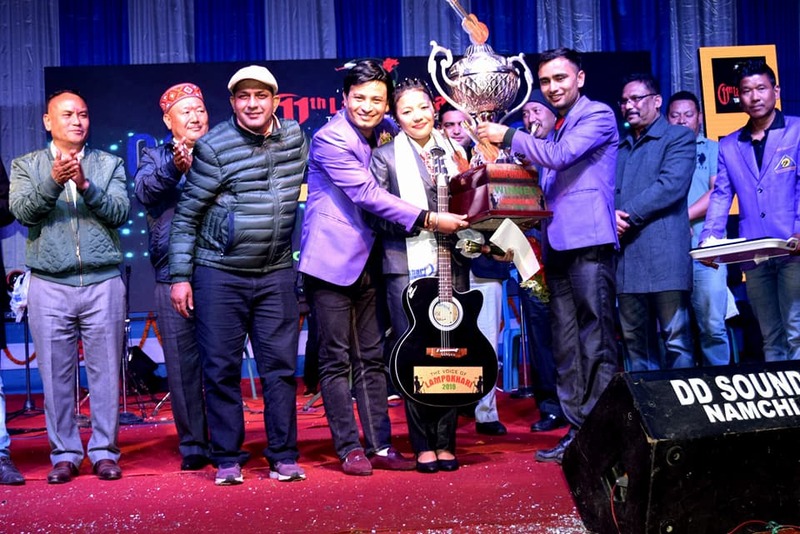 Sunita Rai of Rolep, Gnathang Machong Constituency won the title of "The Voice of Lampokhari Season - 4. 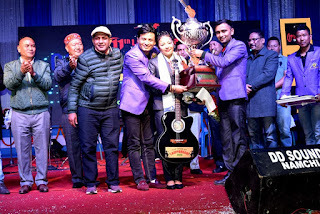 Karna Bdr Rai from Lokdara Chujachen became 1st Runners-up and Lazong Bhutia from Aritar Chujachen became 2nd Runners-up respectively out of Top Four contestants. The hug between us is still waiting and believe me i do miss it the most when each day i recall you and your 'blank submission' upon me. I may not be of any subject to you yet i cannot take your chapter from my heart and place it somewhere else. Happiness every time does not mean a satisfaction that you enjoy, happiness is also weeping inside for that tight hug. It's your birthday, my best-est warm wishes to you, wishing you warmth, sound health, good education and a better days ahead. I get miss call from unknown numbers and i sometime tell myself ...bebay tah hoina !! 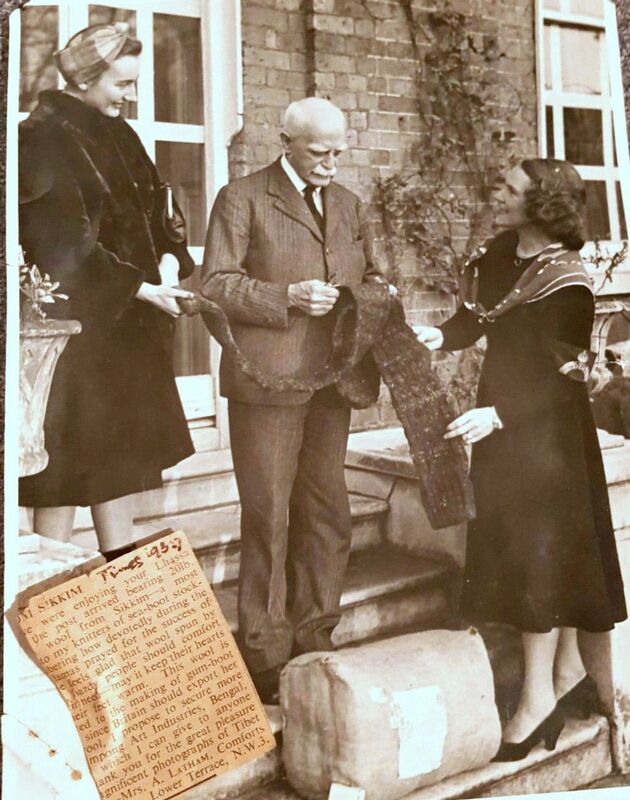 Sir Basil Gould, Britain's Political Officer in Sikkim was very fond of Sikkim's wool. 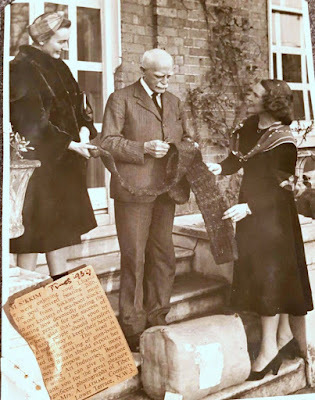 Those handspun wools used to be made into sea boots stockings. 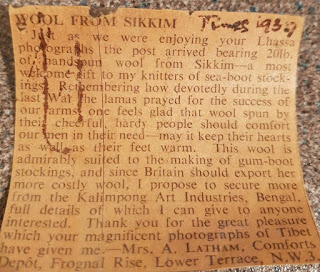 The press clip from the TIMES reads that the wool from Sikkim was well appreciated. 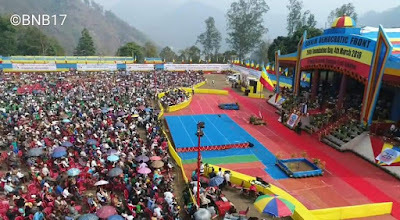 It is mentioned that the lamas had prayed during the last War (probably the WWI) for the success of the farming of the wools. The wool suited the best gumboot stockings. 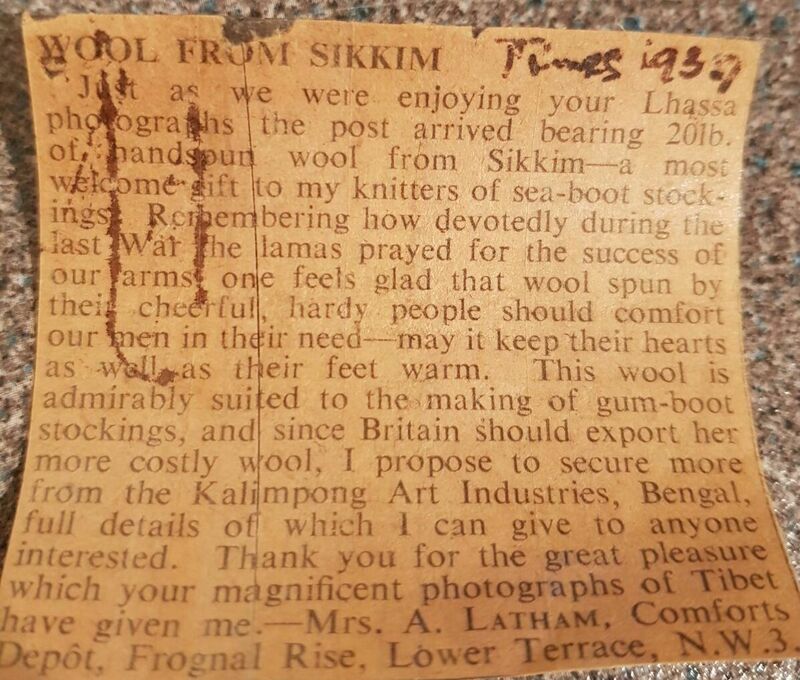 The wool was such that it was said the wool kept the heart and the feet 'well' of the Britishers. 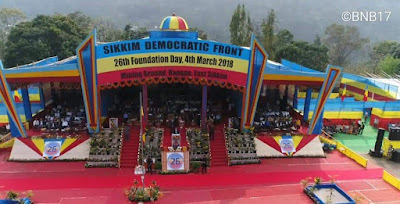 Sir Basil John Gould, CMG, CIE (1883–1956) was a British Political Officer in Sikkim, Bhutan and Tibet from 1935 to 1945. An interesting sentence from Gould written by Anna Balikci Denzongpa in one of the articles published at Bulletin of Tibetology, Gangtok; where in his memoirs " The Jewel in the Lotus" he writes about the Raj Bhawan of Gangtok the then British Residency as "perhaps the most attractive medium sized home in the whole of India. Ebenezer English School was the first school i had taken admission, i studied from class nursery till class iv. I left the school in the year 1988. 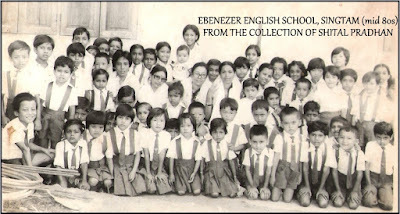 It was one of the first english school in Singtam, East Sikkim. The school is now closed. Roshan Prasad from Sikkim, India wins a silver at “EPAEX 2018” Dubai Stamp Exhibition. The exhibition was organized by “The Emirates Philatelic Association” with co-operation of Dragon Mart that was held from 6 – 10 March 2018 in Dragon Mart 2, Dubai, United Arab Emirates, to celebrate “Year of Zayed” and to promote every aspect of philately in the region. It is the 7th Stamp Exhibition hosted in the UAE. Prasad won Silver Medal in Thematic Category of Philately (Stamp Collection). Participants from Bahrain, United Arab Emirates, Kuwait, Lebanon, Oman, Saudi Arabia and New Zealand had participated in this exhibition. The title of his collection was “The Story of Cricket” that comprised of most of the postal stamps, First Days Covers, Special Covers, Booklets, Miniature Sheets, Post Cards, Telegrams and Commercial envelopes on Cricket, issued worldwide since 1962 (when the first postal stamp was issued Cape Verde on 18th January 1962). 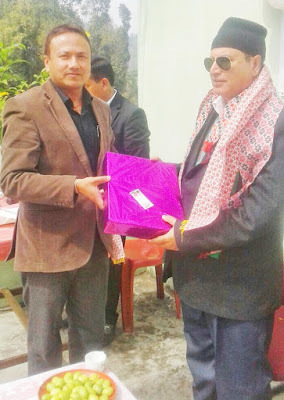 Roshan Prasad is the Treasurer of Sikkim Philatelic and Numismatic Society. Previously he had designed Special Cover for the National Club of India (Mohun Bagan AC) in 2010 to commemorate the Centenary celebration of 1st Victory of Indian football team (commonly known as “The Immortal XI”, who played bare footed) against British-East Yorkshire Regiment (IFA Shield 1911), which was issued by Dept. 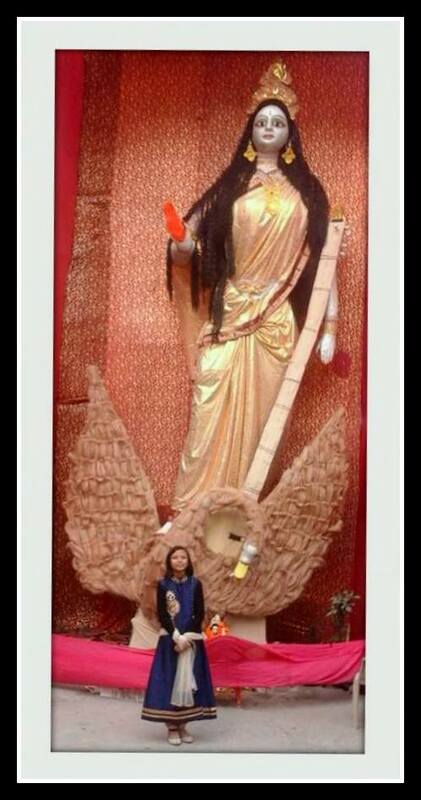 of Post India..The cover was released during Mohun Bagan Day 2010 by the then Governor of West Bengal. 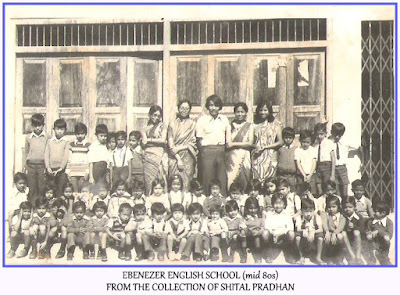 Set up in 1950, Sarojini Memorial Free Primary School at Simleydhura Mungpoo was build in the name of Sarojini Naidu, the great freedom fighter of Indian Independence. 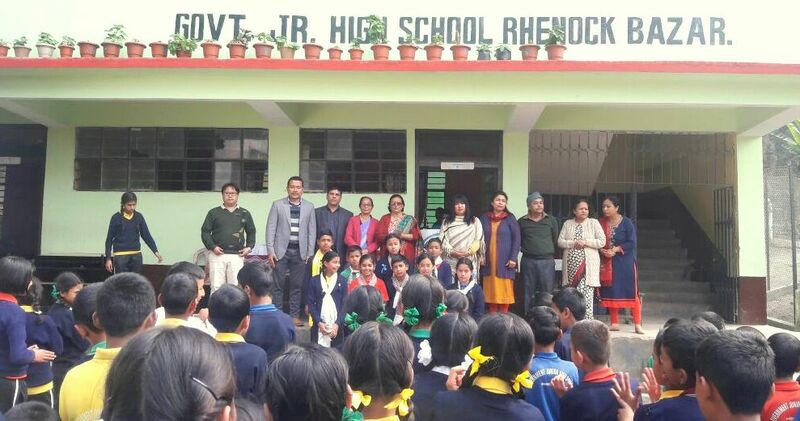 27.02.18, RHENOCK: Govt Jr. High School Rhenock Bazar, East Sikkim carried out election for the student’s representatives for the session 2018 in the school premises. The students had been canvassing since the day of their nomination was filled. Their commitments towards the school were also made known to all when allowed to express in the morning assembly. Smt. 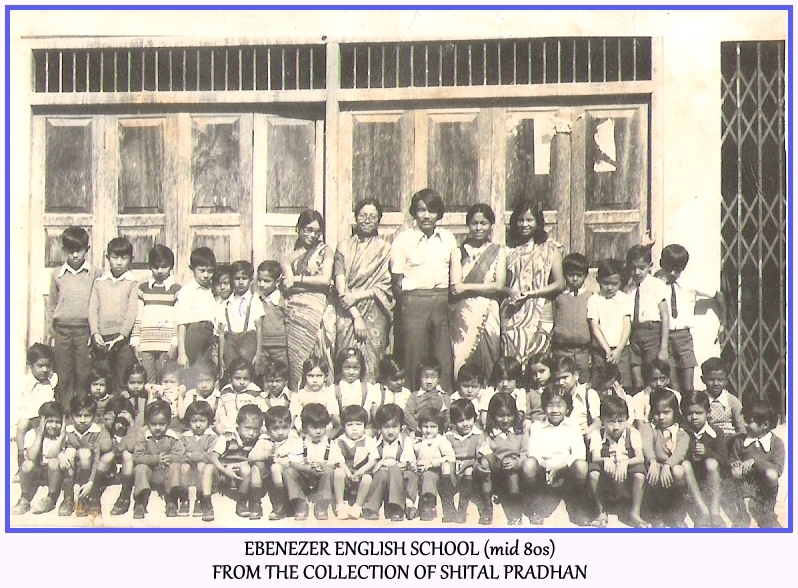 Maina Pradhan and Smt. 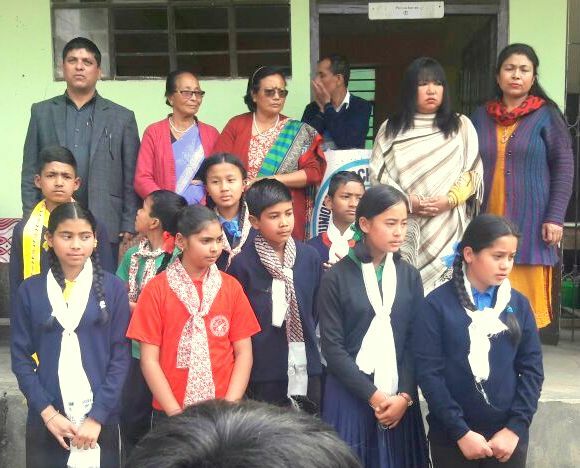 Devi Pradhan, SMC members was invited in the school as a Presiding Officer. The counting was also done eventually and the elected students were offered khadas from the gracious hands of the present SMC members. 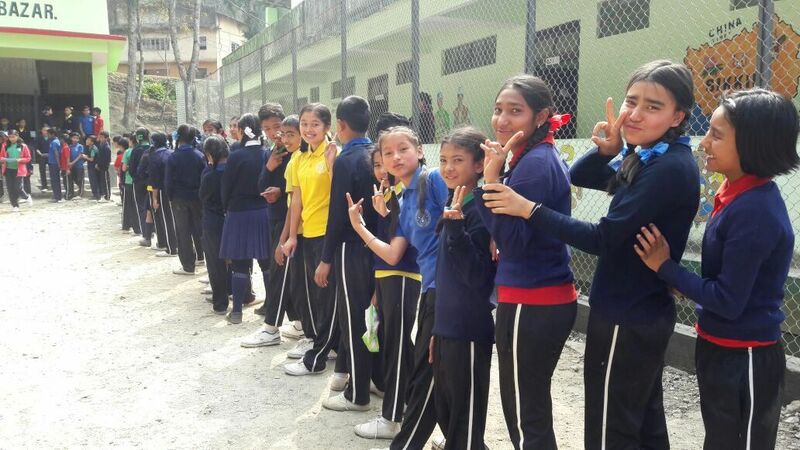 The captains were given oath by Suman Thapa, GTB of the school. 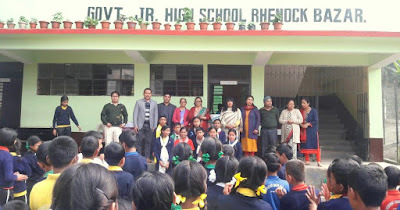 Speaking on the occasion SD Bhutia, Headmaster of the school said, we wanted the students to learn about our democratic system of administration. 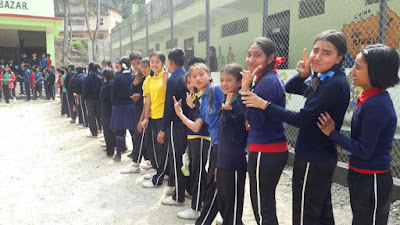 It was a wonderful experience for the students as well as to the school staff. Singtam, February 28: Government Primary School, Upper Tanak, South Sikkim organised a farewell programme to bid farewell to Damodar Sharma, retired Head Master and Shanti Thapa. retired teacher. All the SMC members, Parents, former students and teachers were present. 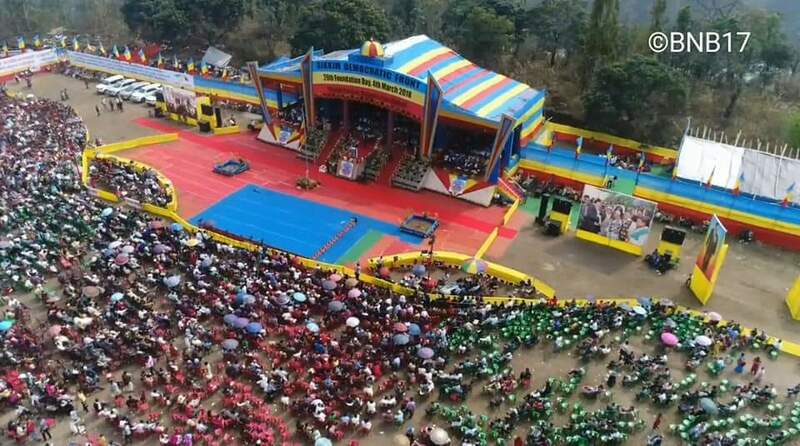 The Head Master of the school, CM Chettri delivered a speech stating about the hardwork done by the outgoing Headmaster and Asst.Teacher during their tenure. 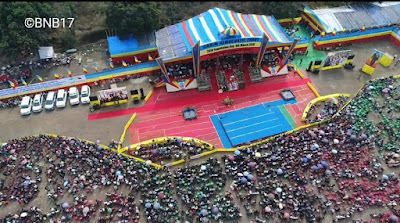 The programme was well organised with active participation of public from Upper Tanak and its surrounding. Both the teachers was felicitated on the occasion for their contribution towards the school.